First post since 2016… Stopped posting, but not painting. 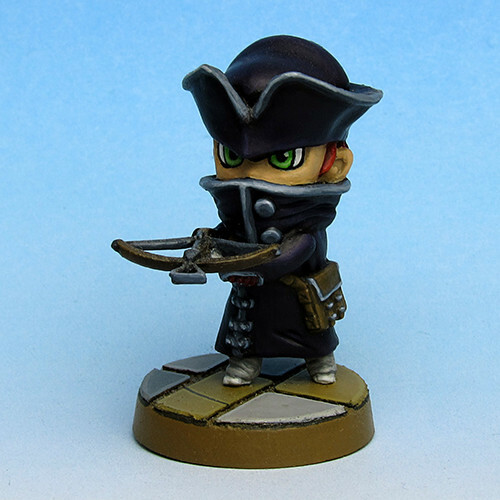 But I did (for the moment) completely move away from painting Chibi minis. This started because I painted more and more minis for my RPG group, but was cemented by the disaster surrounding the Super Dungeon Explore: Legends Kickstarter. 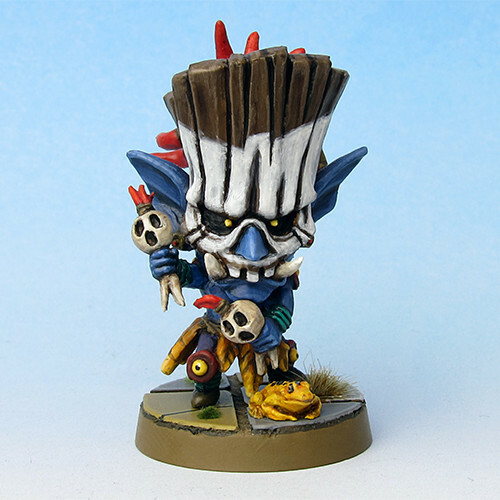 SDE minis are THE definitive Chibi minis for me and the failure to deliver Legends took away a lot of my motivation to paint Chibis. 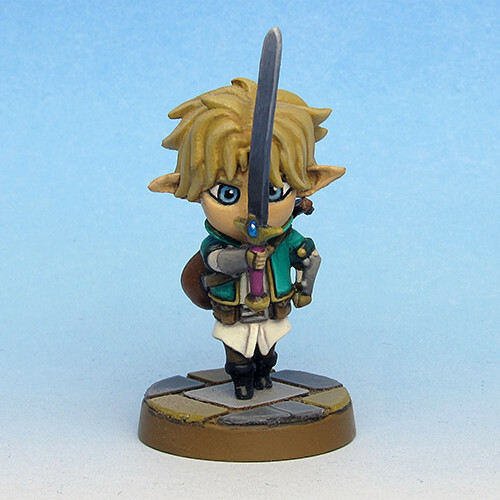 So my quest to get all SDE Heroes painted (though nearly finished…) has been pushed far down my quest log and I haven’t painted any Chibis for 2 years now. I’m currently prepping for a new RPG group and do not get around to paint as much as I would like. 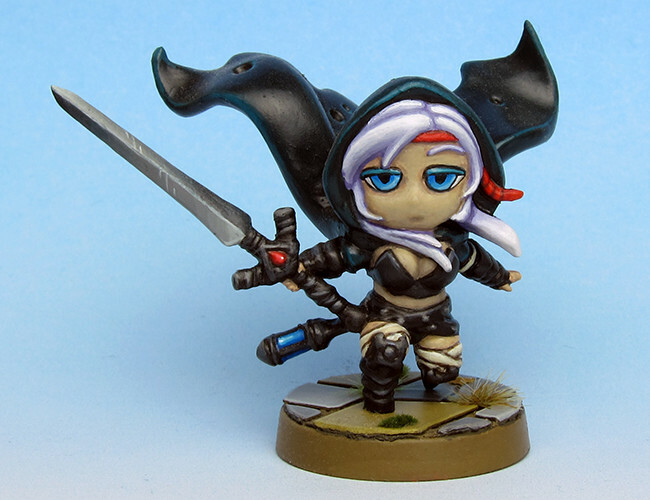 Did manage to finish the final SDE hero from the Forgotten King box, though – the Thundervale Huntress. Really loved the idea that they have rune-like markings and had a lot of fun researching runes and coming up with my own designs. 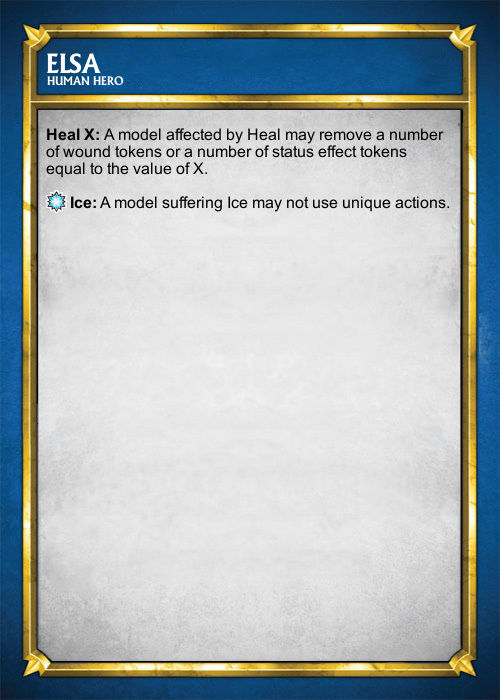 The third hero from the Forgotten King box, the Fae Alchemist, was quite a challenge. 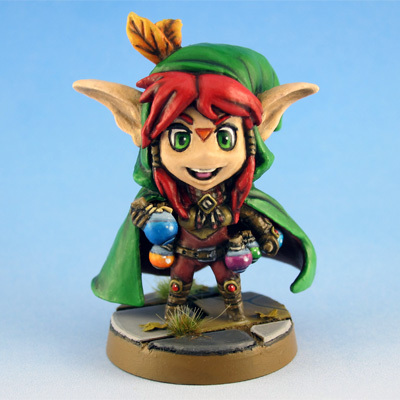 The last time I painted glass was long ago so I did quite some research to get her potion bottles to look good. Think they turned out quite ok. Continuing with the heroes from the Forgotten King box, I chose Princess Emerald as my next painting project. I did not like the mini very much and just wanted to get her done. Surprisingly I really started to like the mini while painting. 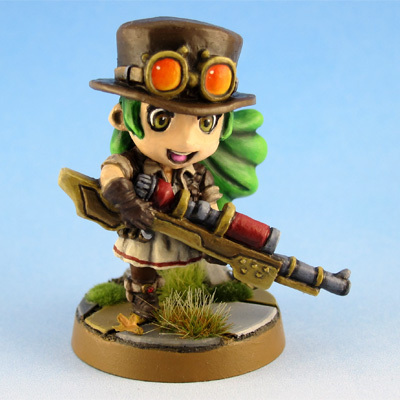 She has a strong steampunk vibe which really comes together very well when painted. Like how the hair turned out. After spending some time painting other chibis I’ve returned to Super Dungeon Explore and finally started painting the Forgotten King heroes. There are sixteen of them and as I want to get them finished before SDE Legends arrives it was about time to start. 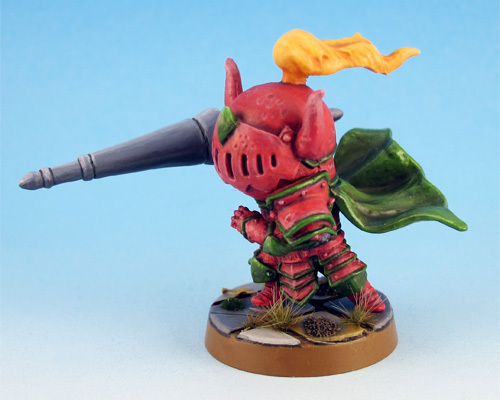 First off there is the Questing Knight, one of the four heroes directly from the Forgotten King box. 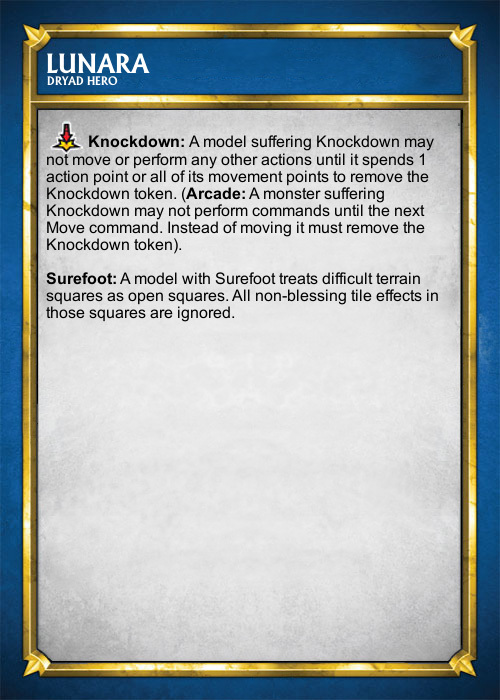 I really liked his original red / green color scheme and tried to get the colors as close to the artwork as possible. 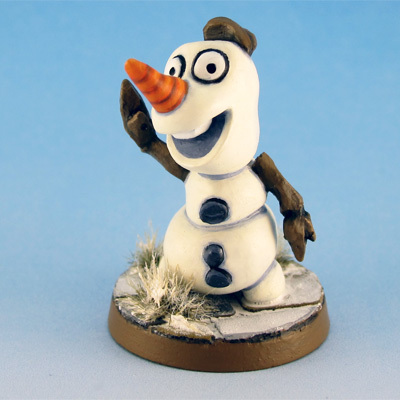 There was one final Velvet Mark mini I just had to finish before starting with the Forgotten King heroes – Olaf the snowman from Disneys Frozen. My plan was to finally start with the Super Dungeon Explore Forgotten King heroes, after finishing Lunara and her Wisp, but there were some extra minis in Marks last package which desperately needed some paint. 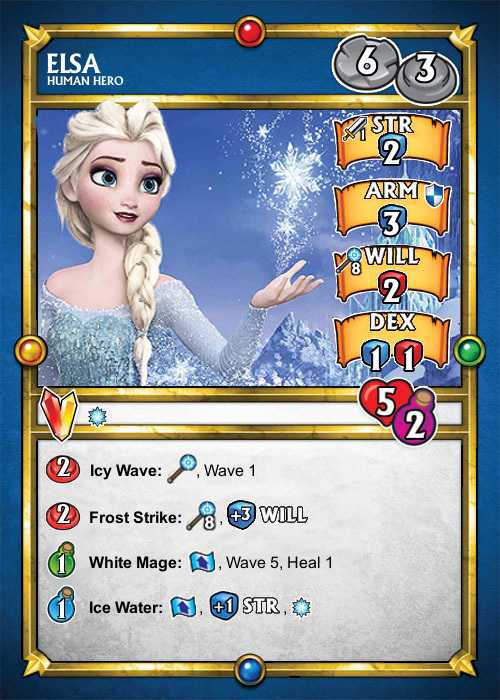 Today I present Disneys Snow Queen Elsa. I wanted to do something special with her cloak and add a glitter effect. Tried some approaches and finally found tiny deco crystals which replicated the effect I was looking for. 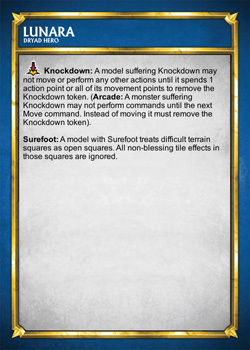 Again created SDE Cards for the model, this time based on the stats of the Ember Mage. 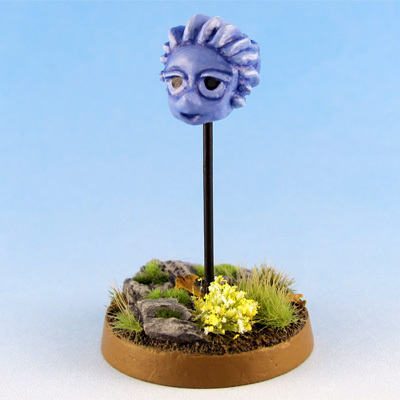 Another model sculped for me by Velvet Mark – Lunaras wisp companion. I’ve invested countless hours in Blizzards Heroes of the Storm. There are more popular MOBAs out there, but after playing Blizzard games for more than a decade a game where all the greatest Blizzard heroes are united is rather special to me. 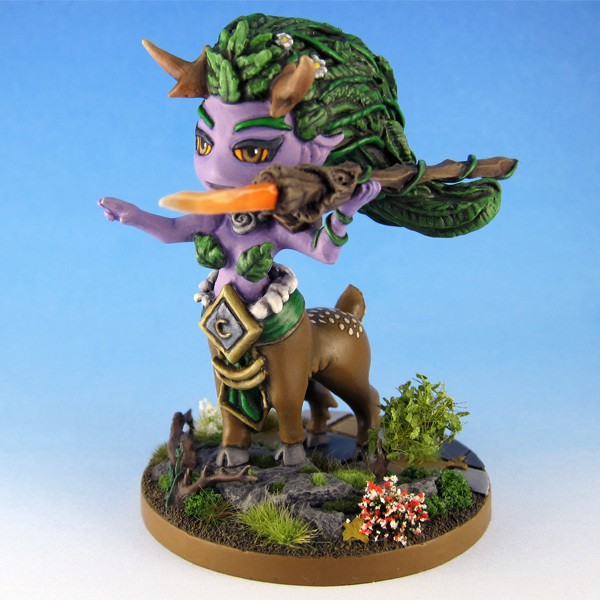 Among all those great heroes Lunara is my favorite one (although she just got serious competition by Tracer) and Velvet Mark was nice enough to sculpt a chibi version of her for me. Spend the majority of the last month getting her and her base just right and finally finished her shortly ago. 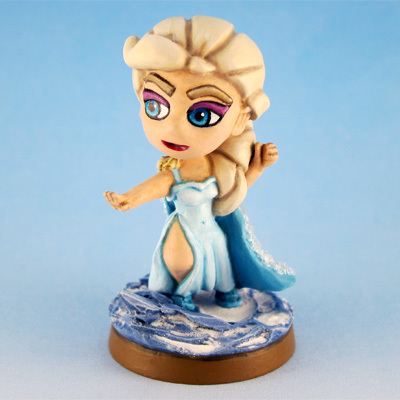 I went with her original colors, though it was very tempting to paint her in her frost dryad scheme. 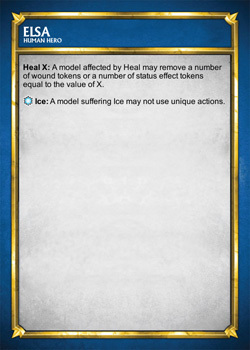 Also created SDE Cards for her, based on the stats of the Thundervale Huntress. 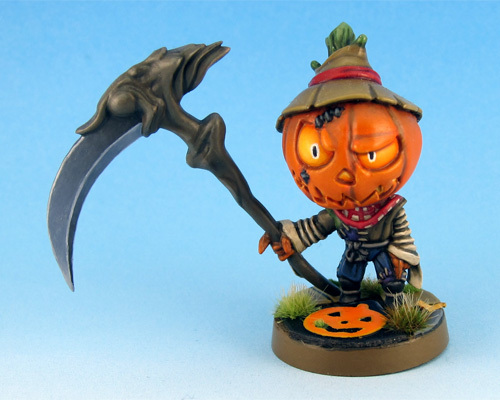 Jack Scarecrow, the second Halloween themed mini released late last year by Soda Pop. Went with the same nmm metal colors for his weapon I used for Scarlet. Again I am happy with the results and I think I will use this approach for all nmm metal weapons from now on. The scarf was a real challenge. I wanted it to look as close to the original artwork as possible and I think for my first try at a checkered pattern this small it turned out ok.